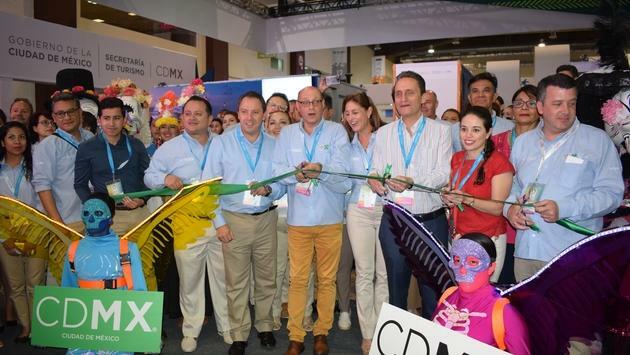 The 44th edition of Mexico's largest tourism fair Tianguis Turistico kicked off this weekend in Acapulco with dignitaries and prominent figures from the tourism industry in attendance. Our editorial director, Alexandra Roy, is on hand to cover the event. 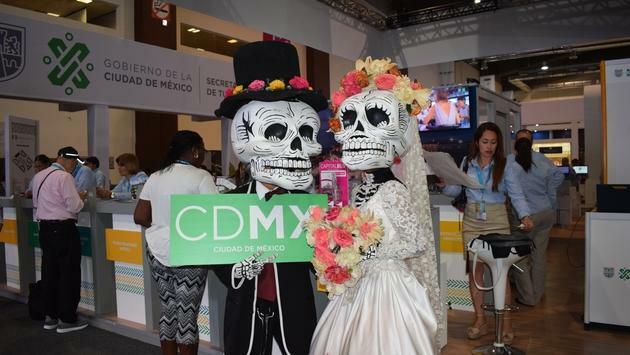 The event, which takes place from April 7 to April 10th at the newly built Mundo Imperial Congress Center in Acapulco, highlights the tourism offering of Mexico, the sixth most visited country in the world. 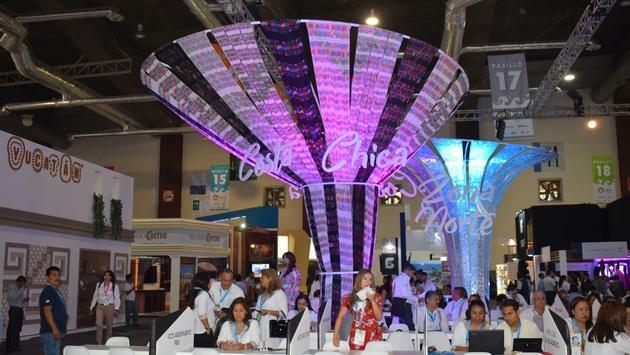 More than 1,000 buyers from 43 countries including Canada will have the chance to meet 600 exhibitors spread over 22,500 square meters in the Mundo Imperial Convention Center. Two billion Mexican pesos will be invested this year to expand and develop further, announced the new President of Mexico, Andres Manuel Lopez Obrador, during the inaugural ceremony. During the meeting, the President took the opportunity to talk about the highlights of tourism in Mexico. In particular, he reiterated how important tourism was to Mexico and spoke about the controversial Mayan train project that is expected to be launched this year. He announced that over the coming months, the emphasis would be put on the tourist development of smaller rural areas to eliminate the contrasts between very large tourist areas including many hotels, such as Cancun and Acapulco, and smaller, less developed colonies. Mexico’s Secretary of Tourism Miguel Torruco Marques announced that 43.3 million tourists were expected this year in the destination, an increase of 4.7% compared to the previous year. This will generate total tourism spending of more than $ 23 billion, an increase of 10.6% over 2018. Several events and conferences will take place throughout the Tianguis Turistico. This year, tourism industry concerns such as Sargassum and the construction of President Trump’s wall will be raised, as well as other environmental concerns, which are feared to have an impact on the number of tourists visiting Mexico. The United States represents the most important market for the destination. AMResorts, who was on site, has also announced they planned to reduce the amount of plastic they use in its 70 hotels, to be more environmentally friendly.